Several stars and films made history on Thursday when the Hollywood Foreign Press Association announced the nominees for the 2019 Golden Globes. Terry Crews, Leslie Mann, Christian Slater, Danai Gurira and HFPA president Meher Tatna read off the contenders live from the Beverly Hilton Hotel in Los Angeles. "Black Panther" was one of the movies to achieve an industry first. The film —which starred Chadwick Boseman, Michael B. Jordan, Lupita Nyong'o and more A-listers — is the first Marvel Studios movie to score a Golden Globes nomination. It received a nod in the Best Motion Picture - Drama category. Lady Gaga could also set a new record. The recording artist was nominated for Best Performance by an Actress in a Motion Picture - Drama for her role as Ally in "A Star Is Born." If she takes home the trophy, she'll be the first singer to snag a win in that category. "Pose" achieved another major first. According to The Hollywood Reporter, the FX show, which landed a Best Television Series - Drama nod, is the first TV series with a mostly transgender cast to be nominated in any category by the HFPA. In addition, the HFPA introduced a completely new category. Tatna did not name the category but said it will serve as "the highest level of achievement" for those in the television industry. She says the award will be the equivalent of the Cecil B. DeMille Award, an accolade for film. Of course, we'll have to wait until the big day to see which stars and films take home the trophies. NBC will broadcast the 76th Annual Golden Globe Awards live starting at 8 p.m. ET/5 p.m. PT on Jan. 6, 2019. Sandra Oh and Andy Samberg will host the event. Be sure to watch E! News on Sunday, Jan. 6, for E! 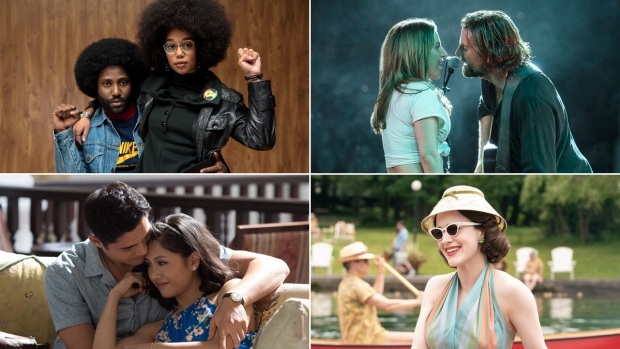 's Live From the Red Carpet 2019 Golden Globes special, followed by the telecast on NBC at 8 p.m. And check out FandangoNOW to download or stream all of this year's nominated films and TV shows for half-off all weekend!